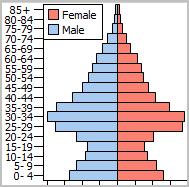 Data in this section are based on the American Community Survey (ACS) 2012 5-year estimates. See notes on importance of these data. See similar ranking tables: Cities | School Districts | State-Metro-County | ZIP Codes. The most recent census tract demographic-economic interactive tables are based on ACS 2014. See U.S. national scope ACS 2014 census tract interactive tables. Use the interactive ranking table in this section to view, query, rank, compare social characteristics of the population, households and families in these areas. The scroll box shown below lists each of the subject matter items available for each area via the ranking table. The number at the left of the subject matter item is also used as the short name for the subject matter item in the column header in the ranking table. S080 Different house in the U.S.
S113 Speak English less than "very well"
S115 Speak English less than "very well"
S117 Speak English less than "very well"
S119 Speak English less than "very well"
S121 Speak English less than "very well"
To determine the percent population high school graduate or higher (S066) and percent population with bachelor's degree or higher (S067) for a census tract of interest ... key in the full census tract code (e.g. 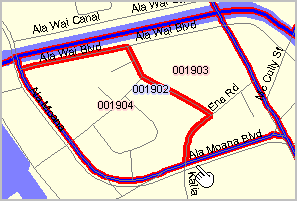 HI0030019004 for a tract in Honolulu County, HI) in the Select Area edit box below the ranking table, then click the Select Area button. When the tract displays, scroll right to items S066 and S067 in the ranking table. 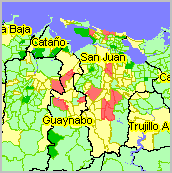 95.9% (S066) and 44.1% (S067) for tract HI003001904. 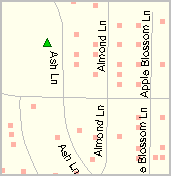 Map at right shows tract 001904. More about these tracts and 2000-2010 tract relationships. Click column header to sort; click again to sort other direction. See usage notes below table. 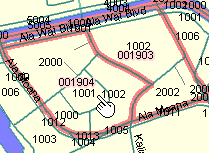 - ss (state postal code) + ccc (county FIPS code) + tttttt (Census 2010 census tract code). - all 11 characters required to uniquely identify a tract code. 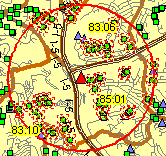  Use Select Area to select/filter for all tracts in a county or one tract. - values entered: no spaces; strict structure; alpha must be upper case. 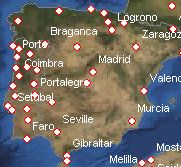 - all tracts in a county: key in 5-character code and click Select Area. 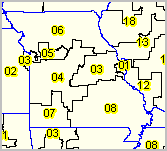 > 5-character code is state postal abbreviation followed by county FIPS code. 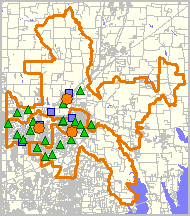 > to view all tracts in Harris County, TX, the code is TX201 (TX for Texas and 201 for Harris County). - a selected tract: key in 11-character tract code and click Select Area. > 5-character state postal abbr plus county FIPS code plus 6 character tract code. 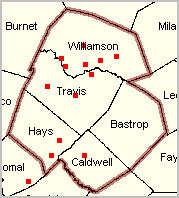 > to view tract Texas tract 019800 in county 113, key in TX113019800 and click Select Area button. 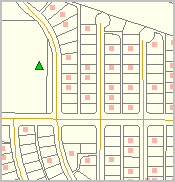 Use address look-up tool to determine census tract, city/place and other geocode/area name/demographics based on address. These data provide "richer" demographic-economic characteristics for national scope census tracts. While Census 2010 provides data similar to those items in the General Demographics section, only ACS sourced data provide details on topics such as income and poverty, labor force and employment, housing value and costs, educational participation and attainment, language spoken at home, among many related items. 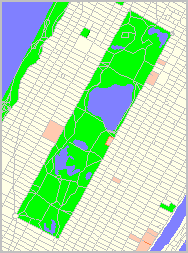 The approximate 600 items accessible via the tract dataset are supplemented by a wide range of additional subject matter. 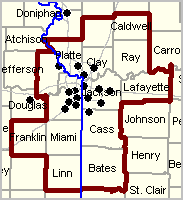 ACS census tract data are updated annually in December of each year.